This is one of my very first linocuts. 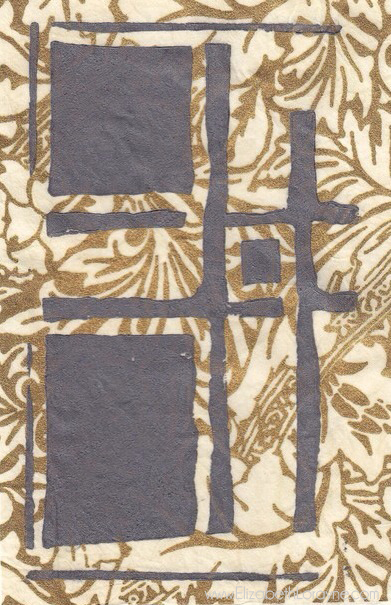 I love printing on decorative papers, as seen in this impression. The choice of decorative paper makes such a difference in the emotional tone, doesn’t it? It can also influence how you interpret the piece. Yet, regardless of that possible influence, personally, I always see this as an abstract door. A door that has countless entrances ~ countless adventures ~ countless journeys ~ countless exits. What do you see? How does it make you feel? If a door, then where does it take you?